The Rev. John Lombard helped many people become ready for the final transition of life. He did not let the difficult disease of Parkinson’s defeat his feisty spirit. John was ready to go, ready for the final phase of life on earth. John lived a full life, both in sickness and health. John was a courageous, humorous, thoughtful, and compassionate man. It was a privilege to get to know John on a personal level. At his memorial service, many people shared about the deep humility that John displayed. To know John was to love John. His dear wife Bev stood faithfully with John ‘for better for worse, for richer for poorer, in sickness and health’ in their forty-five years of marriage. During the difficult last phase of John’s life, Bev kept an online blog where she shared daily about her life with John. Bev has been a great inspiration to many by the way that she has not let John’s chronic illness defeat her. Her deep faith kept her going, because she knew that she was not alone. As my honorary assistant priest at St. Simon’s North Vancouver, John was a tremendous help, covering for me when I spoke at various conferences. In 2004 when I had an opportunity to take a three-month sabbatical, John ‘held the fort’, enabling me to be deeply refreshed and renewed. Because of John’s covering at St Simon’s NV, I was able to travel to eighteen cities across Canada with 250 francophones and anglophones in a journey of reconciliation called La Danse. 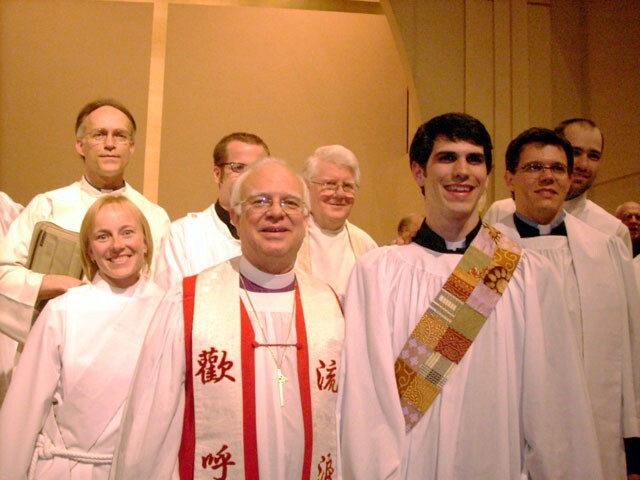 In Nov 2004 our 10:30am contemporary service moved, because of overcrowding, to the Maplewood School. This was made possible because John covered for me at Maplewood School until I could drive there from Deep Cove after our 9am traditional service. John’s loyalty was a rare gift to me. I knew that you could depend on John through thick and thin. John was a man of his word. His yes was yes and his no was no. John was not a yes-man. Many times when John saw a way that we could improve, he would freely share with me his insights. As his voice became weaker because of Parkinson’s, I had to listen very carefully. His mind remained sharp, even as his body faced serious challenges. I remember John’s helpful suggestions about how we could improve the quality of reading scripture on Sunday morning. His ideas resulted in a very informative Saturday morning Readers’ Workshop led by his wife Bev to about twenty of our readers. There was a remarkable strength in John’s spirit, even in the final days of his being in hospice. The last time I saw John, he really enjoyed viewing my iphone photos from our recent holiday in Hawaii. One of my strongest memories of John was at the annual BC Christian Ashram retreats where John would tell funny stories and play harmonica during the talent show. John was a very gifted harmonica player who with his quirky sense of humour intentionally played the wrong harmonica notes in one song. John did this with a twinkle in his eye. 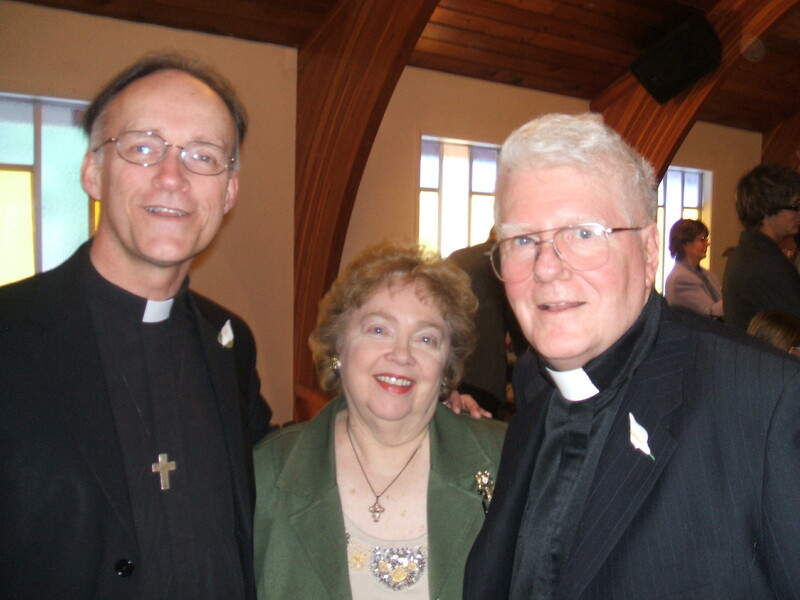 Born in Montreal and raised in Windsor Ontario, John spent most of his ordained ministry in southern Ontario. Instead of merely retiring, John and Bev moved to Greater Vancouver to become missionaries with WEC international. They served at the Gateway Intercultural Training Centre and led short-term mission trips to Fiji, Guatemala, and South Africa. After St. Simon’s NV adopted John and Bev as part-time missionaries, John wrote wonderful updates about how God was using them in raising up young leaders around the world. As a member of the national leadership team for the Anglican Mission in Canada, John co-ordinated prayer initiatives for the Coalition, sending out regular prayer updates. As a leader in VMTC, John prayed deeply for healing of others in body, mind and spirit. He gave and gave and gave. We miss John deeply. But we are so grateful that he is now with Jesus in his nearer presence. The sequel book Restoring Health: body, mind and spirit is available online with Amazon.com in both paperback and ebook form. 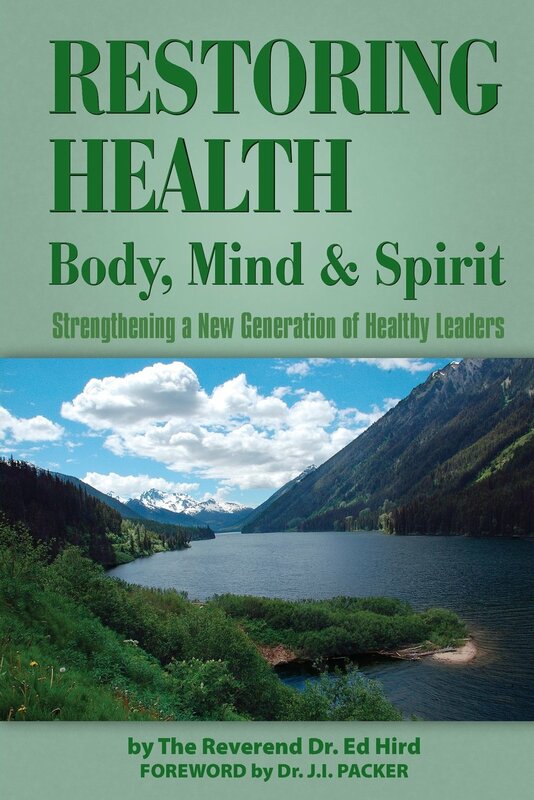 Dr. JI Packer wrote the foreword, saying “I heartily commend what he has written.” The book focuses on strengthening a new generation of healthy leaders. Drawing on examples from Titus’ healthy leadership in the pirate island of Crete, it shows how we can embrace a holistically healthy life. 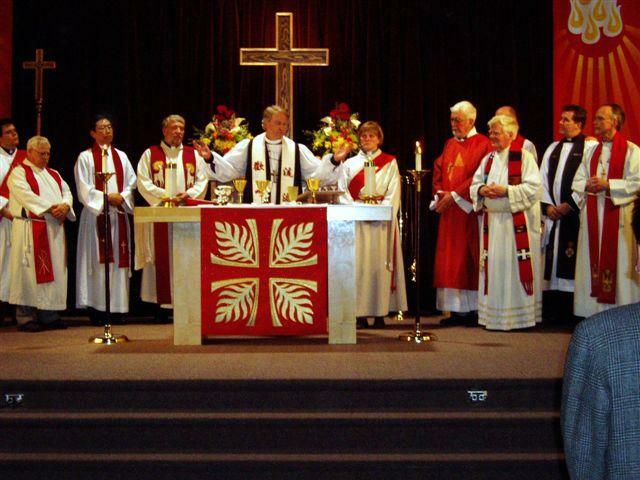 Categories: Uncategorized | Tags: Anglican Coalition in Canada, anglophones, Battle for the Soul of Canada, BC Christian Ashram, Bev Lombard, Bishop Sandy Greene, Bishop Silas Ng, Bishop TJ Johnston, Deep Cove, Fiji, francophones, Gateway Training Centre, Guatemala, harmonica, Hawaii, hospice, hospital, IPhone, La Danse, Maplewood School, Montreal, Parkinson's, Readers' Workshop, Rev John Lombard, sabbatical, Seymour, South Africa, St. Simon's Church North Vancouver, talent show, twinkle, VMTC, WEC, Windsor Ontario | Permalink. 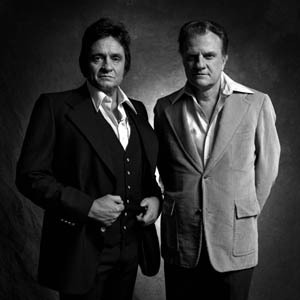 More than 100 other recording artists and groups have recorded Cash’s song “I Walk the Line.” Cash commented: “I wrote ‘I walk the Line’ when I was on the road in Texas in 1956, having a hard time resisting the temptation to be unfaithful to my wife back in Memphis”: ‘I keep a close watch on this heart of mine. I keep my eyes wide open all the time. I keep the ends out for the tie that binds. 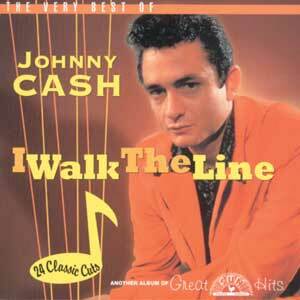 Because you’re mine, I walk the line.’ Cash saw ‘I walk the Line’ as his first Gospel hit, because he sang it not just to his wife, but also to God. [ii] Cash’s life was often fraught with tragedy and heartbreak. “After my brother Jack’s death”, said Johnny, “I felt like I’d died too. I just didn’t feel alive. I was terribly lonely without him. I had no other friend.” His father unfairly blamed Johnny for his brother’s death, saying “Too bad it wasn’t you instead of Jack.”[iii] Like his father before him, Johnny struggled for many years with addiction issues. His father was never able to tell his children that he loved them. He knew that he had wasted his life and drifted far from God. In desperation, Cash decided to end his life in 1967 by crawling deep into the inner recesses of Nickajack Cave on the Tennessee River. There in pitch darkness he met God and then miraculously was able to crawl to the opening of the cave. 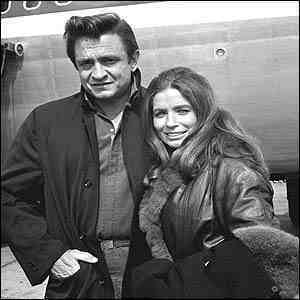 There waiting for him was his future wife June Carter and his mother. That was one of Cash’s turning points, along with the birth of John Carter Cash, in getting serious about battling his addiction. Cash had relative freedom from drugs until attacked in 1981 by an ostrich that ripped his stomach open and broke several ribs. While in hospital, he became heavily re-addicted to painkillers. In 1983, his family and friends did an intervention, which included Cash’s going to the Betty Ford Clinic. Cash comments: “I’m still absolutely convinced that the intervention was the hand of God working in my life, telling me that I still had a long way to go, a lot left to do. But first I had to humble myself before God.” Because of the enormous pain from sixteen failed jaw operations, Cash well understood the cunning, baffling, and powerful pull of self-medication. 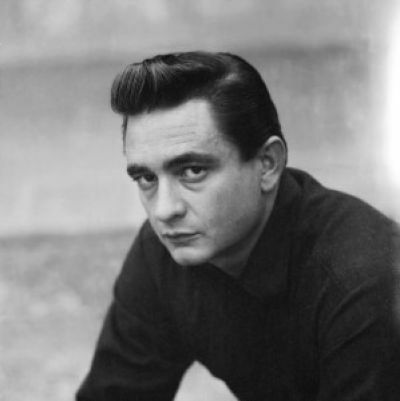 In the midst of great trauma, Cash found that spiritual music helped bring him back from the despair of his addictions. “Wherever I go, I can start singing one of them and immediately begin to feel peace settle over me as God’s grace flows in. They’re powerful, those songs. At times they’ve been my only way back, the only door out of the dark, bad places the black dog calls home.” Cash began to find great strength in reading the bible and in prayer. He learned to stop hating himself, and to forgive himself and others. During this time, the late Billy Graham became a personal friend and mentor. Billy Graham “was interested, but never judgmental…I’ve always been able to share my secrets and problems with Billy, and I’ve benefited greatly from his support and advice. He’s never pressed me when I’ve been in trouble; he’s waited for me to reveal myself, and then he’s helped me as much as he can.” Johnny and June would eventually sing and share at almost three dozen Billy Graham Crusades in front of around two million people. I thank God for the late Johnny Cash’s recovery from serious addiction, and pray that all of us will have the courage to change the things that can be changed. [i] Robert Hilburn, Johnny Cash: The Life (Little, Brown, & Company, New York, NY, 2013), p. 23. Categories: Uncategorized | Tags: A Boy named Sue, addiction, albums, alcohol, Amphetamines, Anglican Coalition in Canada, Anglican Mission in the Americas (Canada), autobiography, barbituates, Battle for the Soul of Canada, because you're mine, Betty Ford Clinic, Bible, Billy Graham, black dog, car wrecks, Country Music Hall of Fame, death, divorce, drugs, father, Folsom Prison Blues, God's grace, guilty, hating himself, hospital, humble myself before God, I Walk the Line, intervention, Jack Cash, jails, Johnny Cash, June Carter, Kingsland Arkansas, lonely, marriage, mentor, met God, music, Nickajack Cave, ostrich, pill-popping, prayer, Rev Ed Hird, Ring of Fire, Rock and Roll Hall of Fame, sharecropper's son, Songwriter's Hall of Fame, St. Simon's Church North Vancouver, stomach, temptation, Tennessee River, touring, trauma, workaholism | Permalink. “Nothing exceeds halitosis as a social offense. Nothing equals Listerine® as a remedy.” Such was the claim of a 1928 advertisement for Listerine ® mouthwash. Listerine® Antiseptic mouthwash, wasn’t born in the bathroom, however, but in the operating room. Back in 1865, Dr. Joseph Lister, the son of a well-known physicist, first demonstrated the use of an antiseptic in surgery. Later, Dr. Joseph Lawrence refined his product and named it Listerine® after Dr. Lister. History is uncertain whether Lister appreciated the favour. One hundred and thirty years ago, almost 50% of the patients undergoing major surgery died from infection. As the famous saying went, “The operation was a success, but the patient died.” In the 1870’s, Lister was the first to treat wounds with dressings soaked in carbolic acid. Lister, in agreement with Dr. Louis Pasteur, suggested surgeons wash their hands and sterilize their instruments before operating. After significant resistance, British and American hospitals gradually adopted the sterile procedures promoted by Lister. Lister has been described as the greatest man of the nineteenth century. Even the common Bandaid, created by Johnson and Johnson, can be directly traced to Lister’s influence. In the days before Lister, the death rate from amputation, the most frequent ‘major’ operation in his day, was forty percent. By 1910, thanks to Lister’s influence, the death rate from amputation had dropped to less than three percent. How many of us had relatives who were injured in World War One or Two, relatives who might not had survived without Lister’s contributions? One of the most feared accidents a hundred years ago was the compound fracture, where the sharp end of the broken bone pierced the skin. Because it so often resulted in death from infection, most doctors would immediately amputate the victim’s arms and legs. When I think about how many of our teens have come back from Mount Seymour and Grouse with compound fractures from skiing or snowboarding, I give thanks for Joseph Lister. Back then, surgeons did not wear gowns or gloves, nor did they cover their hair with caps or their noses and their mouths with masks. The result was that the patient was in danger of infection, not from ‘bad air’ as they thought, but from the surgeon’s hands, his clothes, his breath, and his hair. Lister had heard that ‘carbolic acid,’ a coal-tar derivative used to preserve railway tracks and ships’ timbers, was effective in treating sewage in Carlise, and in curing cattle of parasites. By cleaning wounds and dressing his patients with carbolic acid, Lister was able to keep his hospital ward in Glasgow free of infection for nine months. Lister’s cloud of carbolic spray drenched the whole area, surgeon and all, and so killed the bacteria before they had a chance to invade the wound. Carbolic spray, however, was caustic to the skin and body tissues, and sometimes caused poisoning. The surgeon’s skin would become bleached and numb, his nails cracked, and his lungs sore as he breathed in large quantities of carbolic. Some surgeons became so ill that they had to give up using the spray entirely. Even Lister described it as ‘a necessary evil incurred to attain a greater good.’ After many experiments, he found that boracic acid was a better antiseptic. Lister also made himself unpopular by insisting for hygienic reasons that his wards should be separated from all other wards, and that they should not be shared by any other surgeon. He even had the nerve to bring his own personally trained staff with him from Edinburgh. Little by little however, Lister won the English over. Dr. Frederick Cartwright, a Fellow in the Royal College of Surgeons, holds that Lister “was a humble servant of God, and that he always asked for His guidance in moments of difficulty. There is no doubt that he believed himself to be directly inspired by God…To Lister, the operating-theatre was a temple.” Lister was very humble, but also very brave and determined. In spite of all the opposition that he faced, he never gave up because he knew that God was guiding him to help humanity. My prayer for those reading this article is that the ‘Great Physician’ Jesus may empower each of you, like Joseph Lister, to be ‘revolutionaries’ for the healing of our homes and families. – In order to obtain a signed copy of the prequel book Battle for the Soul of Canada, please send a $18.50 cheque to ‘Ed Hird’, #102-15168 19th Avenue, Surrey, BC, Canada V4A 0A5. For mailing the book to the USA, please send $20.00 USD. This can also be done by PAYPAL using the e-mail ed_hird@telus.net . Be sure to list your mailing address. The Battle for the Soul of Canada e-book can be obtained for $4.99 USD/CDN. Categories: Joseph Lister, medicine, Uncategorized | Tags: amputation, Anglican Mission in the Americas (Canada), antiseptic, Bandaid, carbolic spray, compound fracture, Dr Joseph Lawrence, Dr Joseph Lister, Dr Louis Pasteur, Edinburgh, Great Physician, halitosis, hospital, Jesus, Johnson and Johnson, King's College Hospital, Listerine, London, operating room, skiing, snowboarding, surgeon, World War One, World War Two | Permalink.